In the first of a new series, we analyse the career of the two-time QIPCO Champion Stakes winner and wonder what might follow next. Races: 11. Wins:8. Champions Series wins: 3. Prize-money: £2,793,064. Cracksman was among the first crop of the flawless Frankel and did his best to revive memories of his famous sire during a colourful and decorated three-season career. 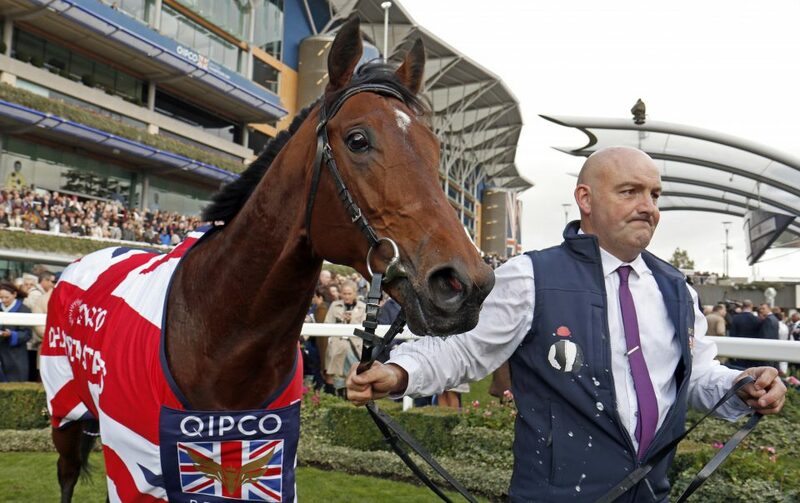 Bred and owned by Anthony Oppenheimer, he won eight of his 11 races with his victories including stunning back-to-back triumphs in the QIPCO Champion Stakes on QIPCO British Champions Day in 2017 and 2018. He won Europe’s most valuable mile and a quarter race by seven lengths on the first occasion – a victory that led to him being acclaimed as the best three-year-old in the world – and then by six lengths on the second. It was some way out to bow out, even if he was equipped with first-time blinkers for his farewell appearance after John Gosden, his trainer, suggested he might be getting “more interested in girls”. Debate over whether his stunning defence entitles him to be described as the best in the world – Winx and Enable being among other candidates – is likely to continue for some months. Cracksman’s other Group 1 victories in 2018 came in the Prix Ganay, where he was impressive, and Investec Coronation Cup, when he scrambled home after apparently banging his head in the stalls and raced a little indolently. In addition, he twice won at Group 2 level in 2017, when landing the Great Voltigeur Stakes at York and Prix Niel at Chantilly. His only defeats at three, came when a close third in the Investec Derby at Epsom, and when touched off by Capri in the Irish equivalent on his next start. As a four-year-old, he lost only once, when racing lazily in the Prince of Wales’s Stakes and finishing second to Poet’s Word, who won the QIPCO-sponsored King George and Queen Elizabeth Stakes on his next start. Having been rated 130 at the end of his three-year-old campaign, Cracksman’s mark had slipped to 125 and he missed races – notably the King George – because the ground was deemed too fast. But his doubters were put firmly in their place on Champions Day when he bounded clear on the rain-softened ground for the second successive year. His official rating was pushed back up to 130. The official handicapper will tell you that his two Champion Stakes triumphs were of equal merit as, after each, his official ratings hit a ceiling of 130. However, that first success in the race was the one that really took the breath away. Cracksman surged clear in the straight and left two top-class rivals, Poet’s Word and Highland Reel, trailing in his wake. He clocked the fastest final furlong of any horse in action on the card – including the sprinters. Perhaps, 12 months later, the opposition was not quite so deep. And we were half-expecting what might happen. Cracksman will stand at Darley’s Dalham Hall Stud with his initial covering fee set at £25,000. He should find himself in plenty of demand at the price. Frankel’s covering fee stands at £175,000. There is no doubt that Cracksman, a grand type physically who stands 16.1 hands, is an exciting addition to the stallion ranks and his offspring are bound to create plenty of excitement. Frankel is stamping his stock with plenty of stamina and perhaps Cracksman will do the same, for all he himself had the speed to win over a mile first time out as a two-year-old. A powerful galloper, he might well have been effective over further than a mile and a half had he been given the opportunity. The fact that he raced a little lazily on occasions as a four-year-old and ended up wearing headgear might make some a little wary but you don’t end up being a European champion at three and four without having bundles of ability. His progeny will have a better chance of coping with soft ground better than most if following family patterns. Cracksman put up his very best efforts on testing going, while his dam, Rhadegunda, relished soft ground. Frankel seemed impervious to the going and the stock of Pivotal, grandsire of Cracksman, also act well on an easy surface.